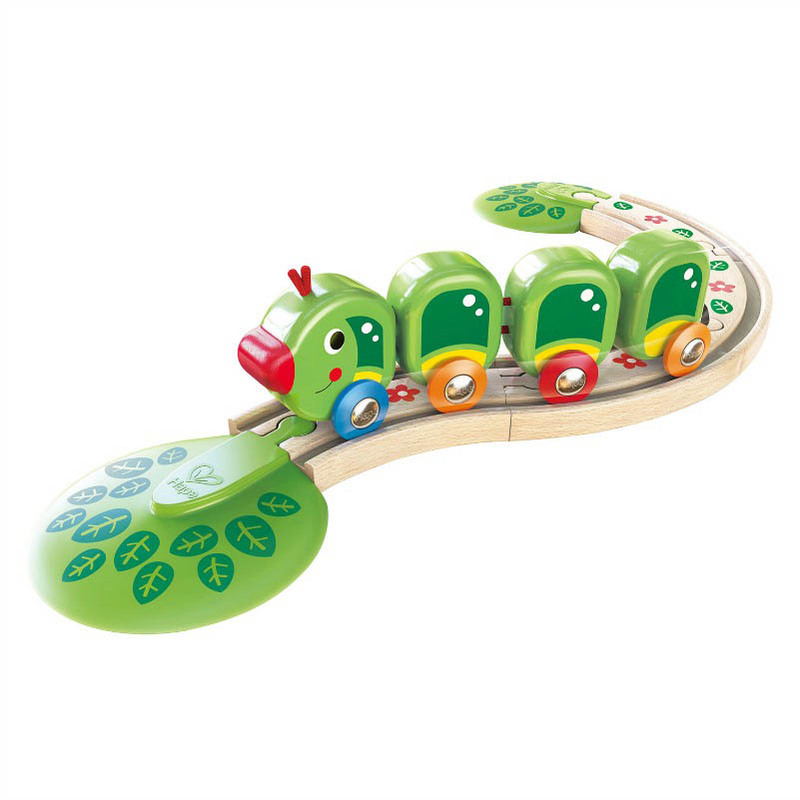 A wonderful, musical railway! 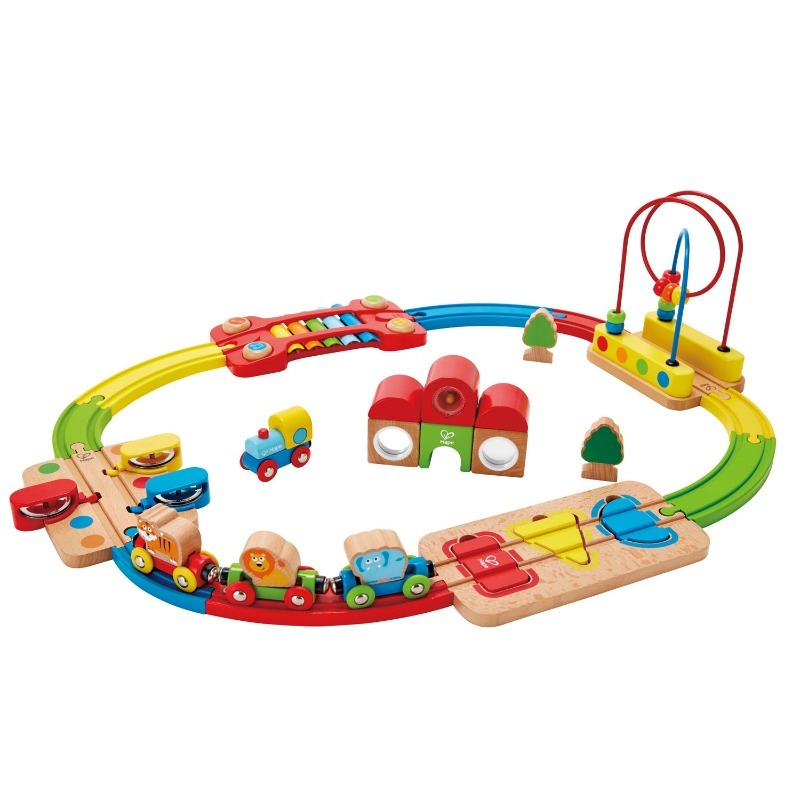 Make playtime learning time with this colorful train and tracks set. 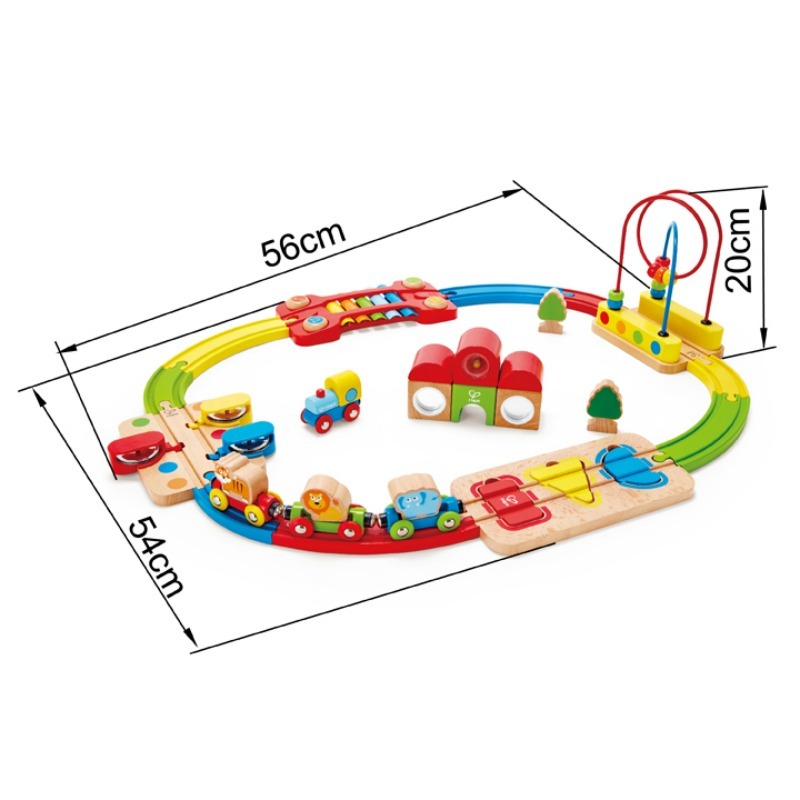 Solve the bead maze and shape sorter as you drive the animal train around. 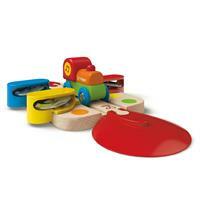 Includes xylophone and tambourine musical tracks. 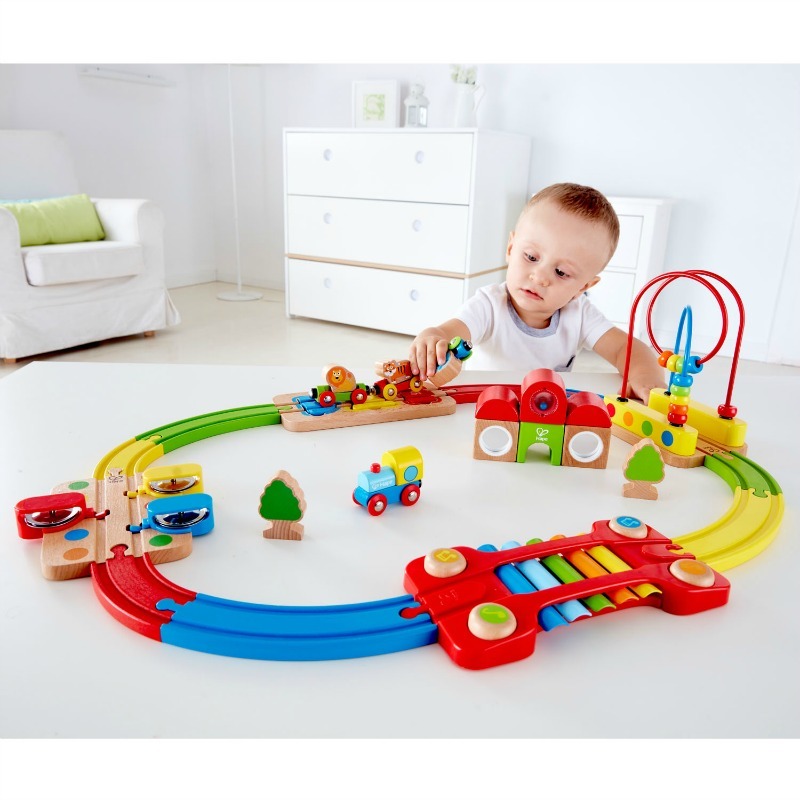 Connect the magnetised carriages to the train engine and give the lion, tiger and elephant a tuneful ride around on the train, passing over the 5 notes of the xylophone and through 3 tinkling tambourines. 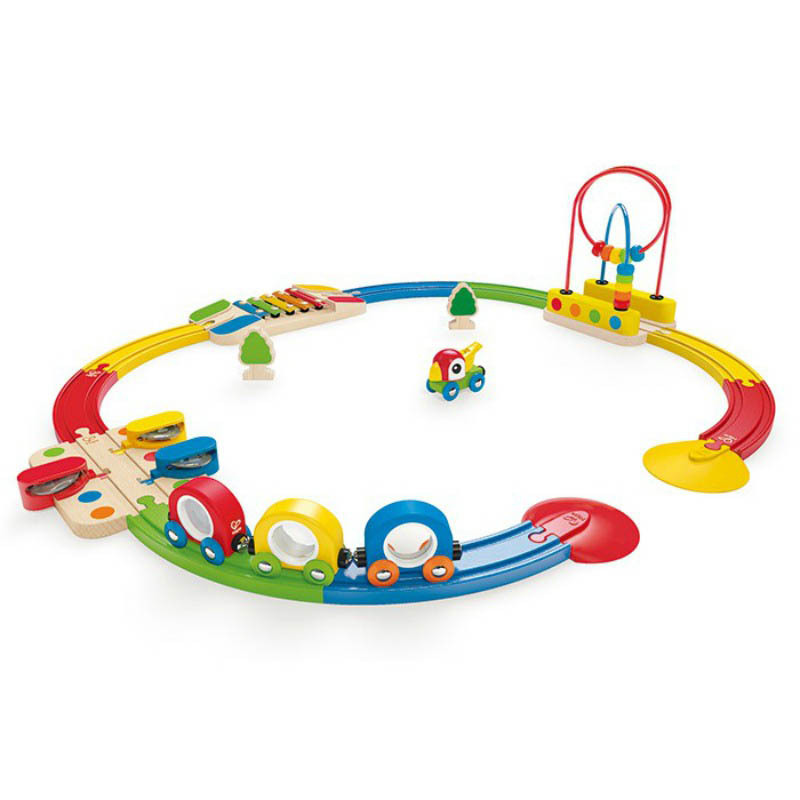 Roll over the red rectangle, yellow triangle and blue semi-circle puzzle pieces past the train station to the bead maze. 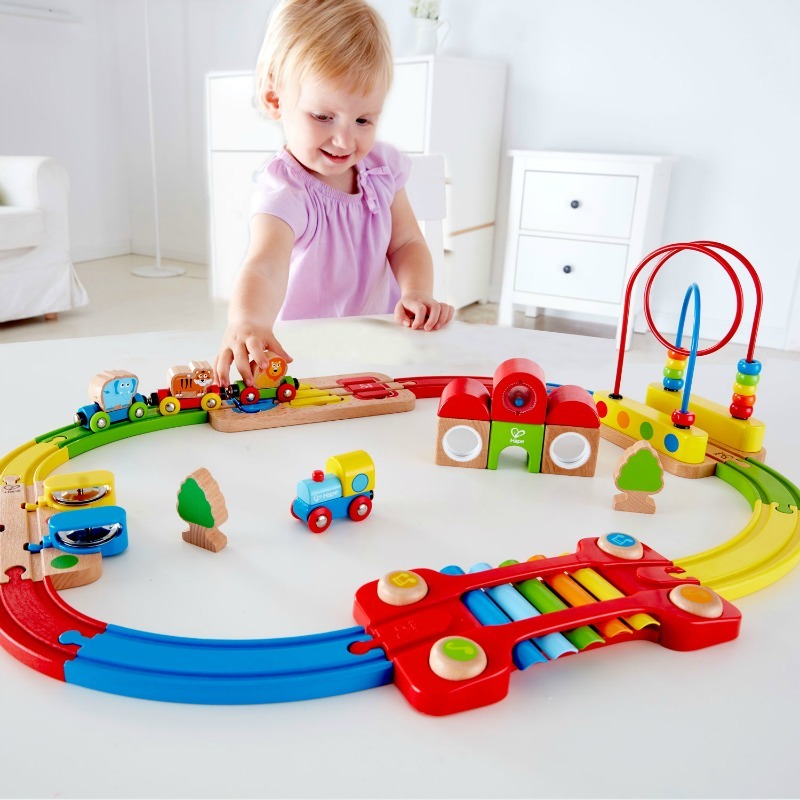 A musical railway that also encourages children to develop shape and colour recognition. 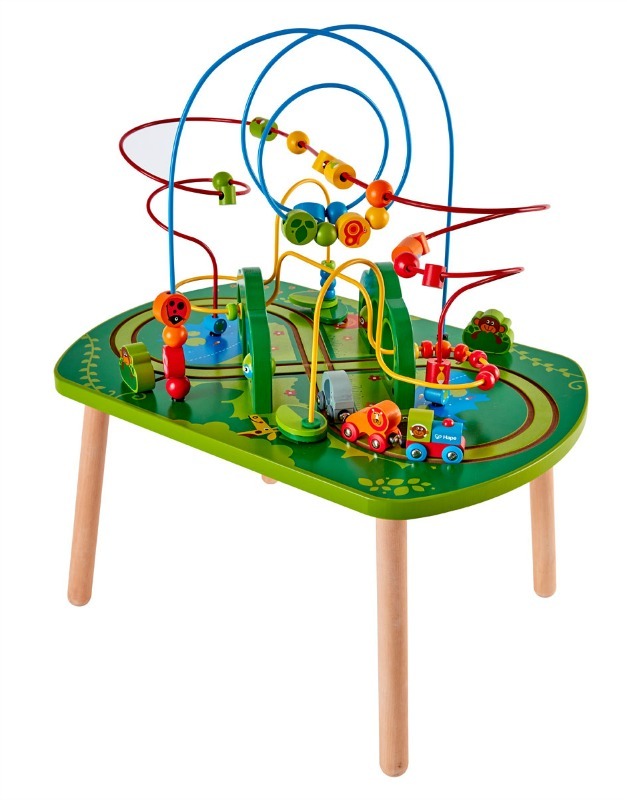 1 x bead maze track, 1 x tambourine track, 1 x xylophone track, 3 x wooden animals. 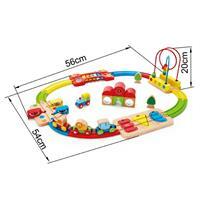 Measures 20cm H x 54cm W x 56cm D.